New Delhi: The growth of digital economy globally and in India has given rise to an exciting interdisciplinary field- Interaction Design- where human behavior meets the digital interface. 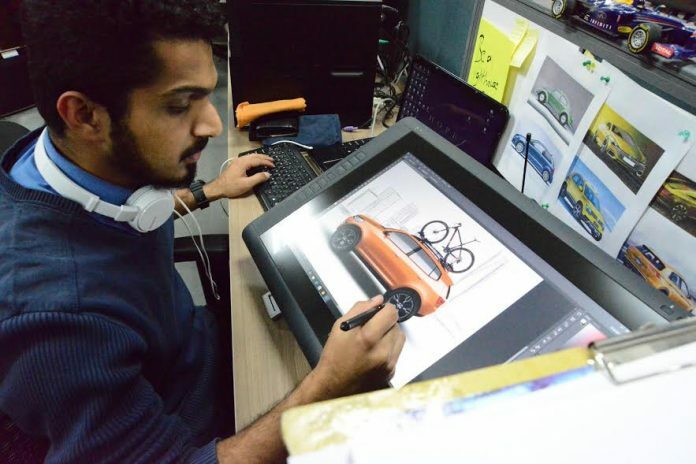 To meet the demand for this new-age profession, School of Design Studies (SoDS) at UPES today announced that it has launched M.Des with specialization in Interaction Design. It’s the age of digital natives. From something as simple as booking a cab on your mobile or shopping online to high-tech world of ‘Internet of Things’ there is a continuous evolution of technologically advanced ‘smart’, ‘intelligent’ products and processes. Interaction Design involves creation of more intuitive user interfaces; using digital technology for better service experiences and creating market opportunities for new design interfaces. The two year M.Des with specialization in Interaction Design program at School of Design Studies, UPES would focus on theoretical knowledge and professional skills to understand fundamentals of design and its application on various digital products- mobile websites and apps, web based products & solutions in different industries including gaming, education, transportation, healthcare, banking and retail. Students will learn about user interface/ user experience and develop in-depth understanding of factors that influence Interaction Design. These include, Information Design, Information Architecting, Graphics & Various forms of visual media, the concepts of ‘Inclusion’ and ‘Service Design’. Students will also have the opportunity to work on multiple design projects. According to international reports user interface design is no. 1 out of 7 in-demand careers for design and planning, with job growth of upto 30%. Large organizations including the likes of Apple and Facebook have focused and invested in design to set themselves apart from the competition to grow. With a professional degree in Interaction Design you can look for jobs as Design Manager, Principle User Experience Designer, Creative Services Manager, User Experience Architect, Mobile Interaction Designer in various industries. You can get to design and develop smart products and systems for the digital world, web-based products, interfaces for on-line transactions, interface for control- display panels industrial control systems etc. According to PayScale, an organization that manages real-time database of salary for different profiles, a qualified and experienced interaction designer earns an average salary of INR 700,000 per year. Most people with this job move on to other positions after 20 years in this career. Experience strongly influences income for this job. How can you apply at School of Design Studies, UPES? c) Valid CEED 2016 or 2017 score or valid UPES Design Aptitude Test (UPES – DAT) score followed by Personal Interview and presentation on the work portfolio. Candidates having valid CEED-2016/2017 Score will be exempted from UPES – DAT Online Test. SoDs also offers M.Des with specialization in Transportation Design/ Industrial Design and B.Des in Industrial Design/Transportation Design/Digital Design.